who wanted me to draw his wolf character with star and luna. (Thanks to David). In this it has David walking with Star who's carrying sleepy little Luna from the fair and in this it shows a new bond for a relationship between David and Star. Ever since Ryu cheated on her we wantd to make a new boyfriend for star so he's someone that will make her happy and won't leave her. 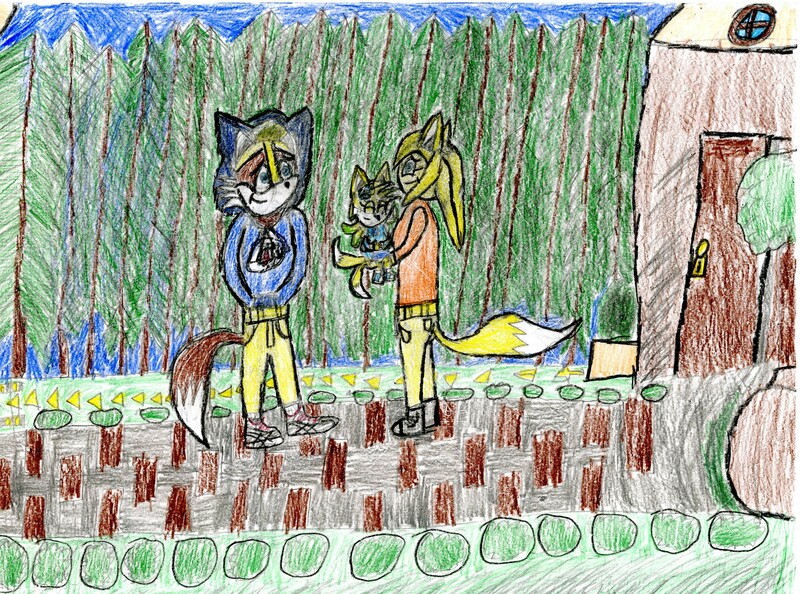 In the orignal reqeust he wanted me to draw him and star and luna inside his hoodie which was to hard so we decide to have a night background and luna asleep being carried back home by star and david.